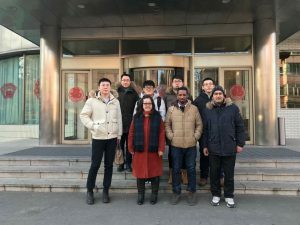 Dr Chen ZhiYuan (PG Director) has recently visited Harbin Institute of Technology (哈工大，HIT), which is a Chinese Ministry of Education Class A Double First Class University. HIT is consistently ranked as one of the top universities in China with a focus on science and engineering, and it has been ranked as 6th in the Best Global Universities for Engineering by U.S. News in 2017. 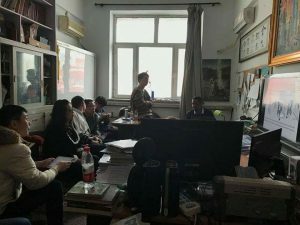 Dr Chen ZhiYuan’s visit is to initiate the research collaboration between the School of Computer Science (UNM), and the School of Computer Science and Technology (HIT). She visited Prof Jiang Feng’s (HIT) Postgraduate Lab and was invited to attend one Project Launching Meeting and the PG Research Forum. With Prof Nan Jun’s (HIT) invitation, Dr Chen ZhiYuan also paid a visit to School of Municipal and Environmental Engineering, HIT. 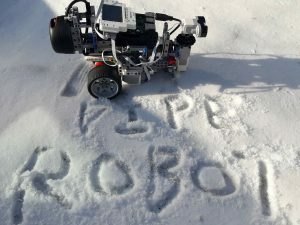 Her PiPe Crack Detection Robot (Science Fund Project) was tested in an extremely cold environment.